You probably have heard stories of people ticking off their bucket lists one by one. This is a story of prioritizing that bucket list. 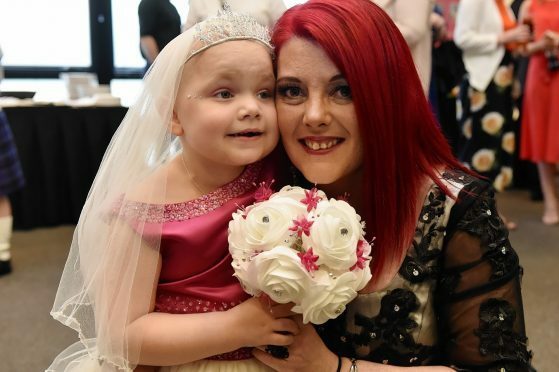 It is a story of a 5-year old Scottish girl suffering a terminal nervous system cancer known as neuroblastoma. Oh, and it is a story of love. It will get you teary. You will wonder why the world would be so cruel to such an adoring child. And you will seethe with anger knowing that Eileidh Paterson could have gone on to write a Cinderella story with her life. And as her family raises money to send her to America to get treatment, you would wish you were a doctor or a millionaire…just to help her in some way. Her bucket list reads like a novel. Swim with mermaids, swim alongside the dolphins and then visit the waterpark. And you wonder why young girls are so adoring? Simple things, simple wishes…that’s Eileidh Paterson for you, and those are the wishes of a 5-year old. All those things are all very nice, but what stuck in my mind is that on top of the bucket list was a wish to marry her 6 year old boyfriend (5-year-olds have boyfriends…ha-ha). Eileidh would tell her nurses that his name was Harrison Grier and that they needed to get married before it was too late. Their parents had to make it possible before it was too late! And Harrison’s father felt that it was the right thing for his son to do. “He wants to do anything that he can do for her,” he said. Her family was worried that she would not hack it during the big event. 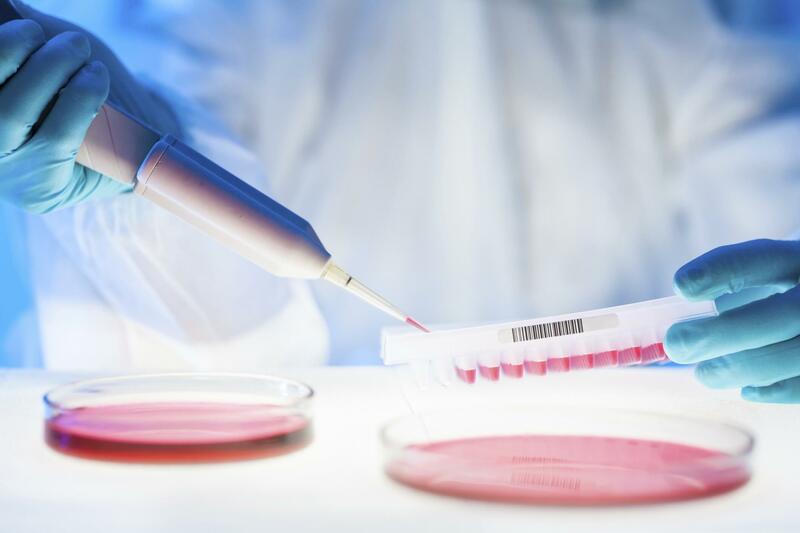 The girl had received blood transfusion a day before. Shock on them! She was more than ready – the wedding lifted her spirits. And the wedding happened. She wore a princess dress while her superhero wore kilt. 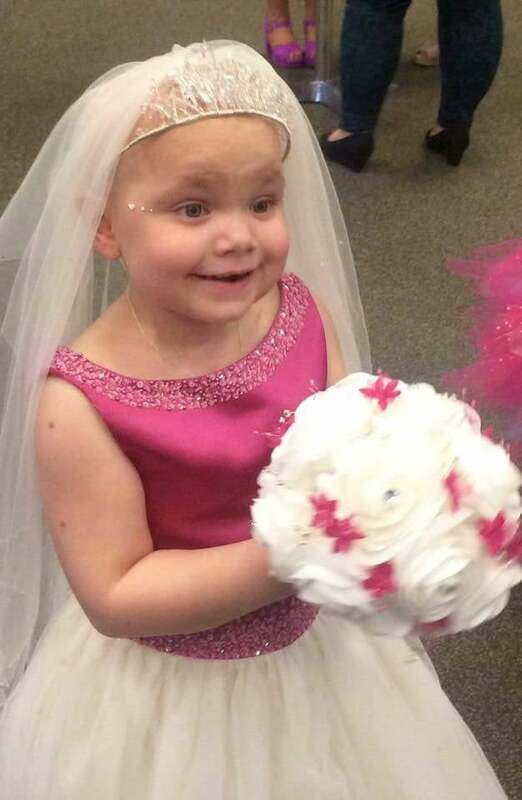 In attendance were hundreds of guests who witnessed as her brother walked her down the aisle. The next part makes you shed a tear…or two. Instead of vows, a fairy tale was read by Eileidh’s mother. In the story, Eileidh is the main character and she is battling an evil beast called “cancer”. 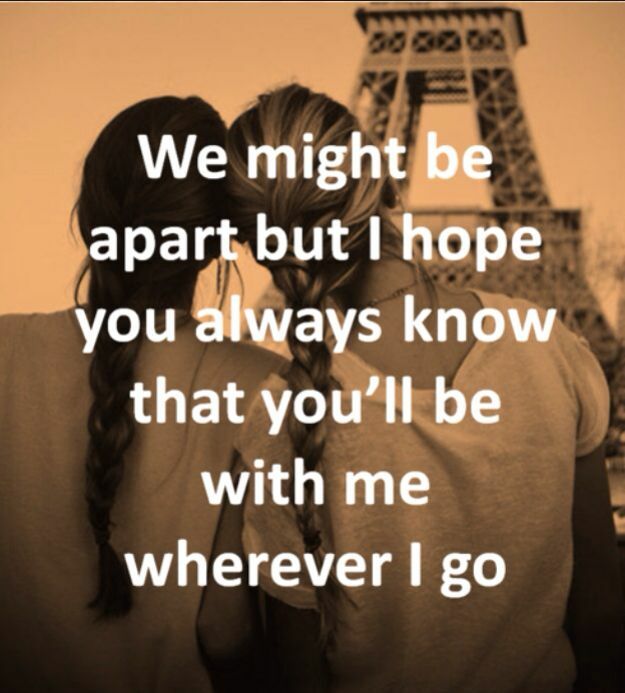 It would be followed by a poem composed by her sister that went like… “We may be apart, but I’ll always be with you”. The ‘after-ceremony’ reception featured Harrison and Eileidh getting a first dance set in the Gangnam Style. The rest of the night was a party with soundtracks from Disneyland. The guest feasted on cotton candy. 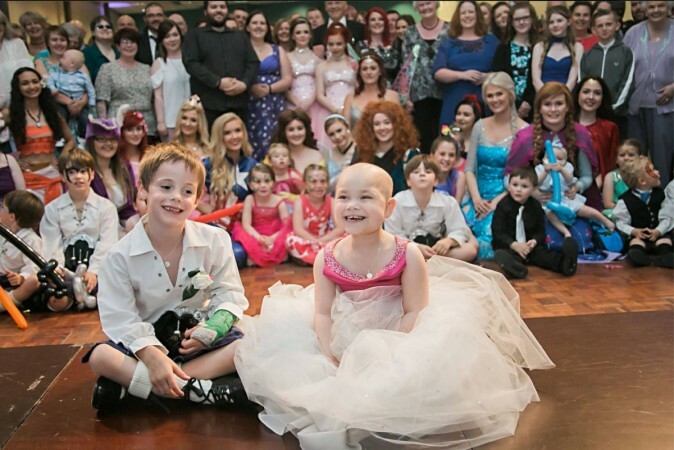 “For Eileidh, it was a chance to act like a kid and play dress up. The ceremony is going to be an enduring fond memory for all of us,” said Gail, Eileidh’s mother. “The ceremony really lifted her spirits and despite it being an adult thing, there were very serious reasons behind it,” She concludes. Our hope is that this Cinderella story will continue to unfold no matter what happens. Fond memories are made of stuff such as this. 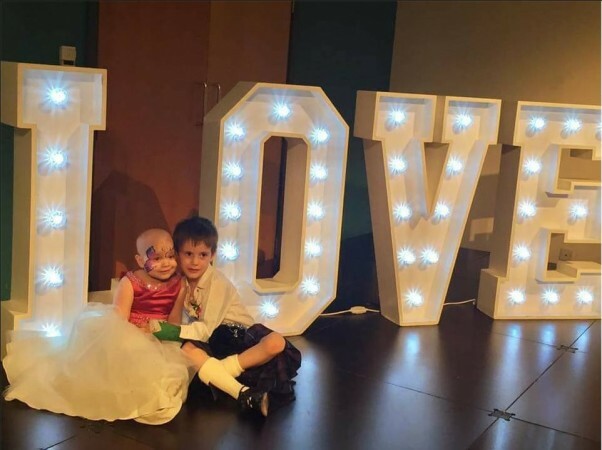 Meanwhile, Eileidh continues to tick items off her bucket list as the family continues to raise money for her treatment. If only there were enough kind people to contribute to medical kitties such as that of Eileidh? Learn more about Eileidh or donate by clicking here.